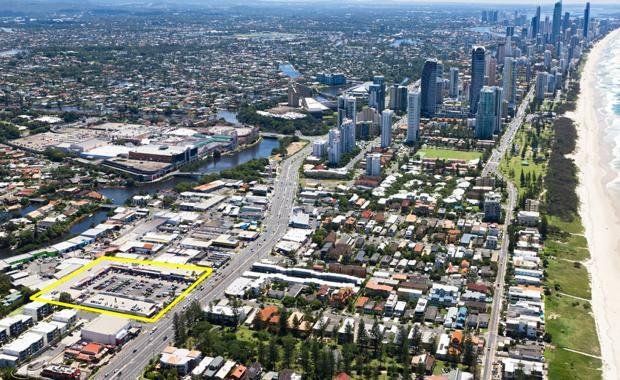 Marquette Properties has acquired a retail asset on a large land holding on the Gold Coast Highway at Mermaid Beach, knows as Pacific Square. Negotiated by K2’s Stuart Moody, the deal was transacted off market for $20,900,000 or a passing yield of 7.20% in an off-market transaction. The single level retail and office asset sits on a 17,300 square metre site with 240 at-grade cars, and is 100% leased to tenants who have been at the centre for an average tenure of 10 years. Tenants include the QLD State Government, Supercheap Auto and Snap Fitness. Marquette Properties Managing Director Toby Lewis believes Pacific Square is a well-established retail asset in a prime catchment on the Gold Coast, as it sits 400m from the Gold Coast light rail station, the newly redeveloped Pacific Fair shopping centre and the ever-expanding Jupiter’s Casino. “A 1.73ha future development site already zoned for 8 levels of residential with a strong, dependable income is rare. “The asset has excellent retail fundamentals and is consistent with our investment philosophy of buying assets that that we can drastically change the value of and be a ‘price-maker’ at exit," he said.